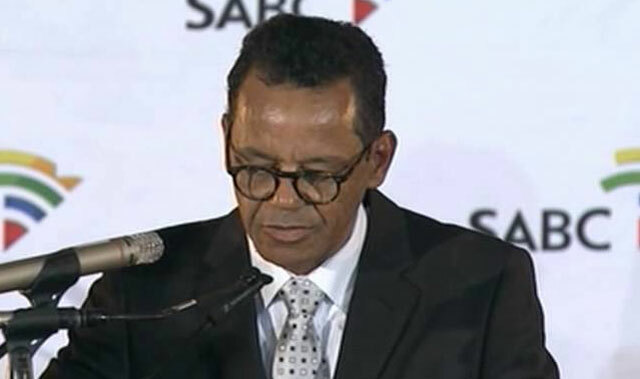 The Right2Know campaign on Monday welcomed the resignation of acting SABC CEO Jimi Matthews. “The stormy departure of someone as senior as the CEO is telling of just how bad things have become at the broadcaster, and it shows that public opposition to chief operating officer Hlaudi Motsoeneng is gaining momentum,” R2K said in a statement. Matthews said recent changes at the broadcaster were wrong and he had compromised his values under the current leadership. He posted a picture of his resignation letter on Twitter on Monday morning. It was addressed to SABC board chair Mbulaheni Maguvhe. “For many months I have compromised the values that I hold dear under the mistaken belief that I could be more effective inside the SABC than outside, passing comment from the sidelines,” he wrote. The “corrosive atmosphere” had negatively affected his moral judgement, and made him complicit in decisions he “was not proud of”. The broadcaster has faced increasing criticism following Motsoeneng’s decision last month to no longer show footage of violent protests. He argued that showing the destruction of property would encourage such actions. Last week, R2K protested against Motsoeneng’s decision outside the SABC’s Auckland Park, Johannesburg, office. It said the broadcaster’s problems did not start, nor would they end, with his departure.